Reliabilt EightDoors Shaker Primed White 2-Panel Square Solid Core MDF Slab Door (Common: 30-in X 80-in) 70288014803035SH, Some minor scratches, No Bore, Slab is in nice condition. Primed and ready to paint. 87" X 32" Finished Solid Wooden Panel. 87" X 32" Finished Solid Wooden Panel. Complete a project or use as table top. One edge is not finished. Panel is in nice condition and measurements are approximate. Please inspect before bidding. RH Swing Interior Door, Single Bore, Satin Nickle Hinges In Flat Jamb, 26" X 80" X 4 9/16"
RH Swing Interior Door, Single Bore, Satin Nickle Hinges In Flat Jamb, 26" X 80" X 4 9/16". Door is primed and ready to paint, some light scratching. Door is in nice condition. PALLET OF ASSORTED MINI BLINDS, 52" X 64" WHITE AND ALABASTER (CREAM), CORDED AND CORDLESS. There are over 20 blinds in nice condition. Please inspect before bidding. PALLET OF ASSORTED MINI BLINDS, 47" X 64" WHITE & ALABASTER (CREAM), CORDED AND CORDLESS. There are over 30 blinds in nice condition. Please inspect before bidding. PALLET OF ASSORTED MINI BLINDS, 72" X 64" WHITE & ALABASTER (CREAM), CORDED AND CORDLESS. There are 13 blinds in nice condition. Please inspect before bidding. PALLET OF ASSORTED MINI BLINDS, 70" X 64" WHITE & ALABASTER (CREAM), CORDED AND CORDLESS. There are 13 blinds in nice condition. Please inspect before bidding. PALLET OF ASSORTED MINI BLINDS, 35" X 64" WHITE & ALABASTER (CREAM), CORDED AND CORDLESS. There are over 100 blinds in nice condition. Please inspect before bidding. PALLET OF ASSORTED MINI BLINDS, 36" X 64" WHITE & ALABASTER (CREAM), CORDED AND CORDLESS. There are over 60 blinds in nice condition. Please inspect before bidding. PALLET OF ASSORTED MINI BLINDS, 39" X 64" WHITE& ALABASTER (CREAM), CORDED AND CORDLESS. There are over 60 blinds in nice condition. Please inspect before bidding. PALLET OF ASSORTED MINI BLINDS, 31" X 64" WHITE & ALABASTER (CREAM), CORDED AND CORDLESS. There are approximately 90 blinds in nice condition. Please inspect before bidding. PALLET OF ASSORTED MINI BLINDS, 27" X 64" ALABASTER (CREAM), CORDED AND CORDLESS. There are over 60 blinds in nice condition. Please inspect before bidding. PALLET OF ASSORTED MINI BLINDS, 34" X 64" WHITE & ALABASTER (CREAM), CORDED AND CORDLESS. There are over 100 blinds in nice condition. Please inspect before bidding. PALLET OF ASSORTED MINI BLINDS, 32" X 64" WHITE & ALABASTER (CREAM), CORDED AND CORDLESS. There are over 35 blinds in nice condition. Please inspect before bidding. PALLET OF ASSORTED MINI BLINDS, 23" X 64" WHITE & ALABASTER (CREAM), CORDED AND CORDLESS. There are over 75 blinds in nice condition. Please inspect before bidding. PALLET OF ASSORTED MINI BLINDS, 33" X 64" WHITE & ALABASTER (CREAM), CORDED AND CORDLESS. There are 8 blinds in nice condition. Please inspect before bidding. PALLET OF ASSORTED MINI BLINDS, 29" X 64" WHITE & ALABASTER (CREAM), CORDED AND CORDLESS. There are Approximately 30 blinds in nice condition. Please inspect before bidding. PALLET OF ASSORTED MINI BLINDS, 30" X 64" WHITE & ALABASTER (CREAM), CORDED AND CORDLESS. There are over 50 blinds in nice condition. Please inspect before bidding. Carpet 12' Roll approximately 100-150 Square Feet - Beige. In nice condition. About 1/2" pile with matte back. 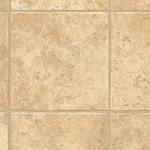 Domco 8-ft W x Cut-to-Length Casa Grande Beige Tile Low-Gloss Finish Sheet Vinyl, L9118X12 Approximately 100 Sq. Ft, in nice condition. (3) Miscellaneous 32 in. x 80 in. Shaker Primed 5-Panel Right-Handed Solid Core MDF Single Prehung Interior Door. Doors are in nice condition. Single bore, Handle not included. Solid core MDF composite resists warping, shrinking and cracking. 2 LH and 1 RH Swing. Primed and ready to paint. 4 9/16" Flat jamb. 2 Miscellaneous 24" X 80" 5 Panel, No Bore, Solid Core MDF Composite Door Slabs. Slabs are in nice condition, primed and ready to paint. 2 Miscellaneous 30" X 80" 5 Panel, No Bore, Solid Core MDF Composite Door Slabs. Slabs are in nice condition, primed and ready to paint. 2 Miscellaneous 36" X 80" 5 Panel, No Bore, Solid Core MDF Composite Door Slabs. Slabs are in nice condition, primed and ready to paint. 2 Impact Plus 30 in. x 80 in. 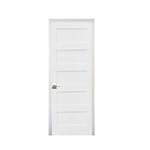 Mir-Mel Mirror Solid Core Primed MDF Interior Closet Bi-Fold Door with White Trim BMM2668PMW. In nice condition. Each Bi-Fold is for a 30 in. finished opening and is made of two 14-3/4 in. panels. We believe these are for the Bifold doors only. Could not see if track was included. Please inspect before bidding. Bi-Fold height is adjustable from 79-1/4 in. x 80-1/2 in. for 80 in. tall doors. Hampton Bay Faux Wood 3.5 in. Cordless Vertical Blind - 78 in. W x 84 in. L, 1.07935E+13 in Alabaster. Blinds are in nice condition. Includes head rail, vanes, louvers. Wand control rotates vanes easily for maximum light control. Johnson Hardware 1500 Series Universal Pocket Door Frame for 80 in. Doors Customizable 24 in. to 36 in. Johnson Hardware 1500 Series Universal Pocket Door Frame for 80 in. Doors Customizable 24 in. to 36 in., 153068PF. Designed for pocket doors that weigh up to 125 lb. The frame is made from wood, has a metal door track and comes with all the necessary hardware for frame installation. 3 Cases of Seves 8 x 8 x 4 in. Cortina Glass Block - 8 Blocks/Case, Model: 5002873. Complete your home projects or create a new one with these glass blocks. ice pattern.